The Zefir collection is bedroom furniture that allows you to create an extraordinary space that promotes a relaxing and regenerating atmosphere. The combination of the warm and noble walnut of San Diego with glossy whiteness and asymmetrical lines enhances the character of the set. Standard illumination of the headboard gives charm and the choice of two styles of nightstands. Closed wardrobe with lighting passepartou, bed with a container, where the grate rises as standard and a special chest with 4 drawers, also allows you to create a functional space in the interior. A bedroom is a place where you must surround yourself not only with what you need, but also with what will give you joy. 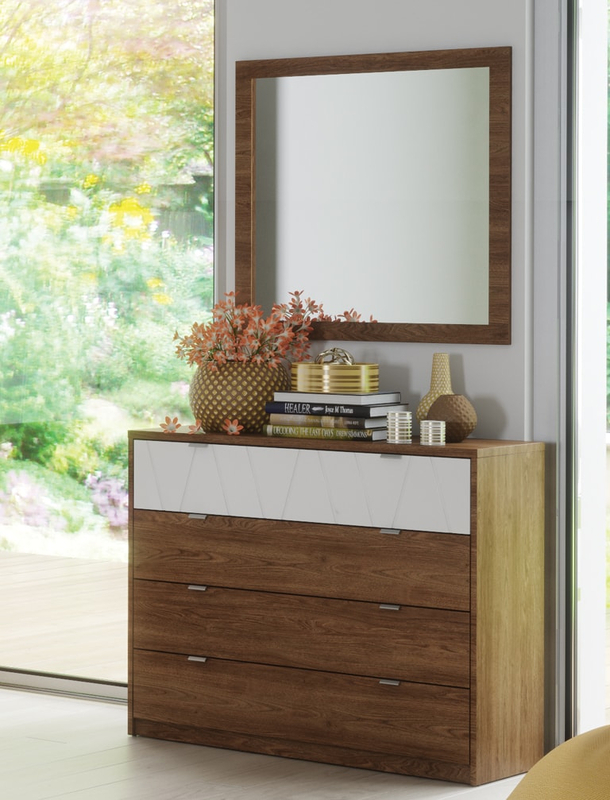 The Zefir chest of drawers will accommodate everything you need every day. 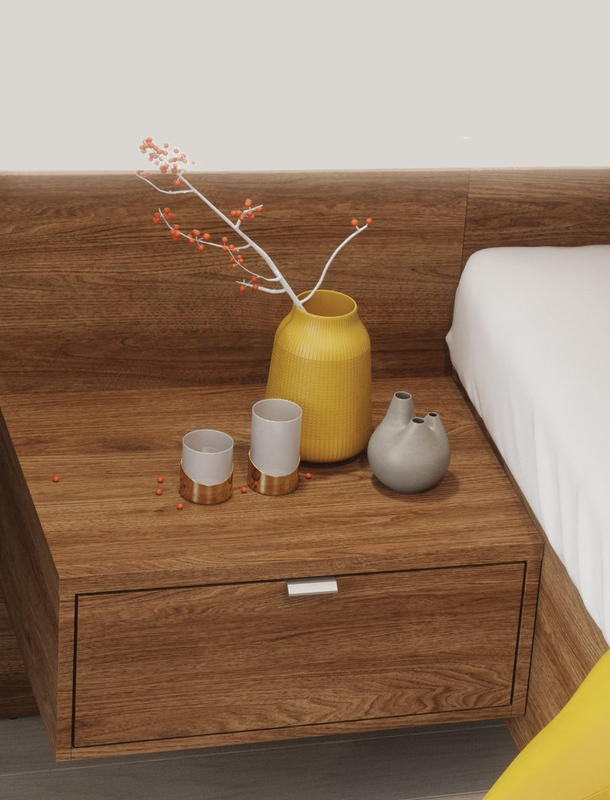 With functional night tables all you need is within reach. A wide wardrobe allows you to store many things that you need. A chest with many drawers will also help you. The ensemble will be completed with the irreplaceable in each bedroom mirror. Furniture Zefir creates an elegant and comfortable space for relaxation and rest even after the hardest day.